In Lomteuheakal village is located a giant and beautiful banyan tree which has one of the thickest trunks in the world. Circumference of this tree might reach or exceed 26 meters. Fig trees (Ficus) have more than 850 species and are very diverse – smaller plants, shrubs and also trees, which grow in tropics all around the world. Several kinds of fig trees belong to largest trees in the world, such as the Millenium Tree in Maria Aurora (Philippines) which has a trunk circumference of some 32 – 45 m.
One of most common fig trees is Chinese banyan (Ficus macrocarpa L.f.) which grows in South-Eastern Asia, China, Australia and many islands in Oceania. 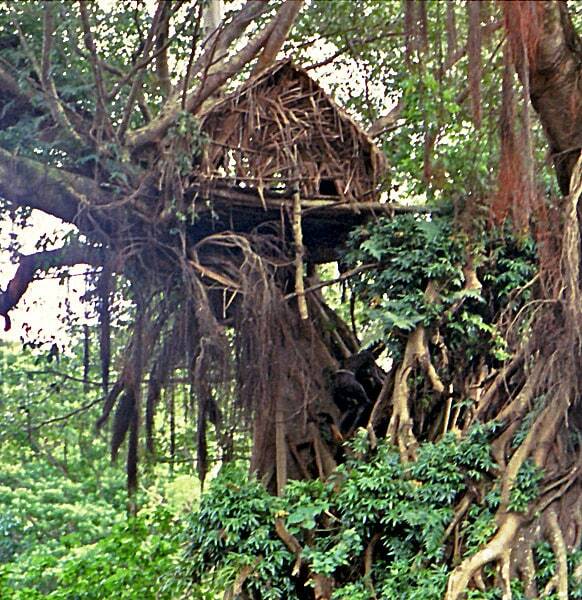 Chinese banyan for most part grows as banyan – with many trunks scattered over large area. Nevertheless it happens that Chinese banyan has its own central trunk and such trees can be extremely large. Some of the largest Chinese banyans (locally called nepuk) grow on Tanna – gorgeous island in Vanuatu. Sometimes there is mentioned that these trees belong to Ficus prolixa species. This island has preserved its own traditional way of life, which elsewhere in Oceania is remembered just in the books and tales from the 19th century. Here still are revered ancient rites, locals believe that spirits of deceased still travel their mysterious ways, and, of course, the giant banyan trees still serve as the centres of traditional villages. In the central part of Tanna have been preserved more traditional villages where local people live as if there is no modern age – so called kastom villages. Banyans here sustain many kinds of life – many types of insects are associated with them, in the trees live numerous birds and here grow many kinds of other plants, lichens, fungi. But according to local beliefs, there are also other kinds of beings – there are tales about diverse spirits living in the trees. 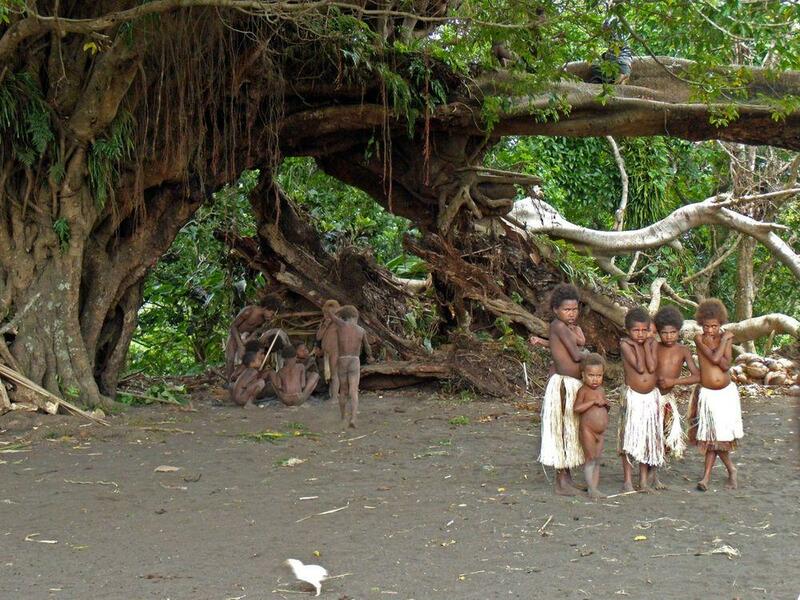 Some of Tanna banyans belong to the largest trees in the world. 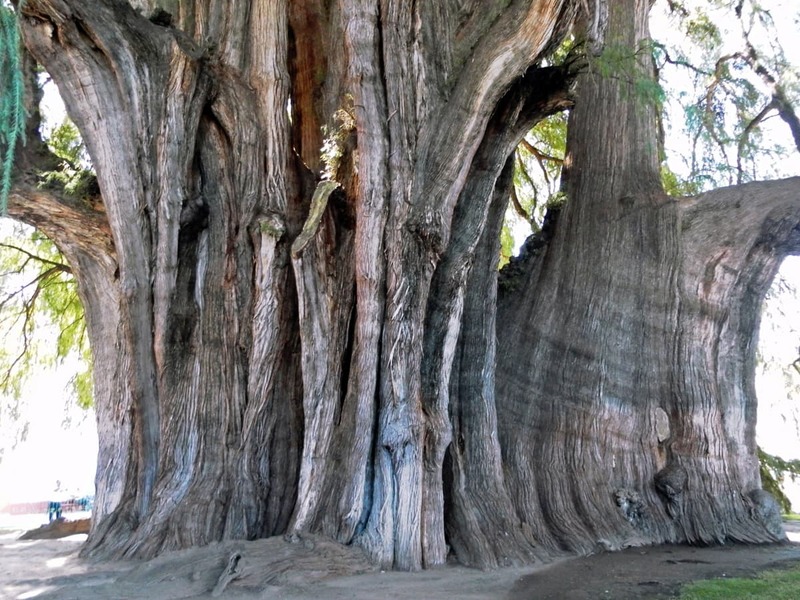 Thus, locals believe that Kaluas banyan some 6 km to the south from Lomteuheakal is the largest tree in the world. Kaluas is an amazing banyan with many trunks and it is even hard to understand where is the main trunk. Circumference of this aggregation of trunks is 170 m.
Some giant banyan trees are used for ritual purposes, with small houses built in them, e.g. in Yakel village boys after the circumcision live in a house built on the top of a giant banyan tree. At the foot of this giant people gather in evenings, drink kava and dance. Such place is called nakamal or yimwayim. Lomteuheakal is not exactly the most traditional village as it is located at a road which crosses the island and is popular tourist route. But this place most certainly has traditional flavour. The centrepiece of this village is giant banyan at the road. Next to the banyan is marketplace (former nakamal?) where locals are trading fruits and vegetables. Tree seems to be a popular gathering place. Banyan in Lomteuheakal has a single central trunk which looks very impressive. Wondermondo has not found information about the circumference of this tree but there are multiple images with people standing next to the tree. Thus it is easy to compare the height of people with the diameter of the tree: diameter of tree is at least 8 m but most likely a bit more. Thus we can assume that its circumference is 26 m or more. These are very approximate assumptions – but this is sufficient information to conclude that banyan in Lomteuheakal has one of the thickest tree trunks in the world. Joël Bonnemaison. 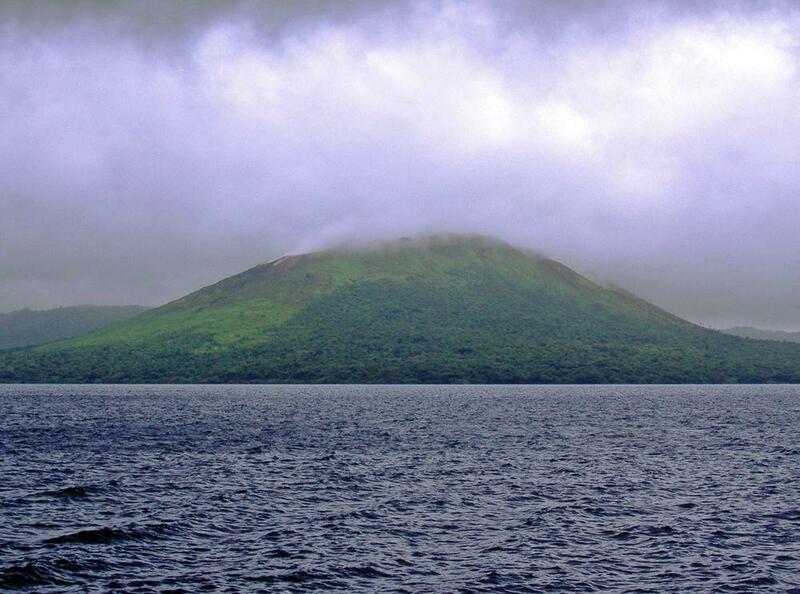 The Tree and the Canoe: History and Ethnogeography of Tanna. 1994. Vanuatu is beautiful and impressive country. People of Vanuatu should be praised for the preservation of the natural landscape and their traditions thus showing that there is a noble alternative to Western civilization. Lonely Planet Vanuatu & New Caledonia is your passport to the most relevant, up-to-date advice on what to see and skip, and what hidden discoveries await you. Stare into the volcanic cauldron of Vanuatu’s Mt Yasur; eat snails by turquoise coves on New Caledonia’s Ile des Pins; or discover traditional tribal culture, all with your trusted travel companion. Swooping down on the world like a scythe, westernization has devastated local cultures and made uniformity commonplace. 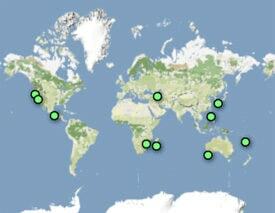 The Pacific islands sustained the shock with a force perhaps unequaled anywhere else in the world. Their limited size and small population, coupled with the violent epidemics that took thousands of lives, lowered Islanders’ ability to resist. To keep the external world at bay, they had to create a world of their own.